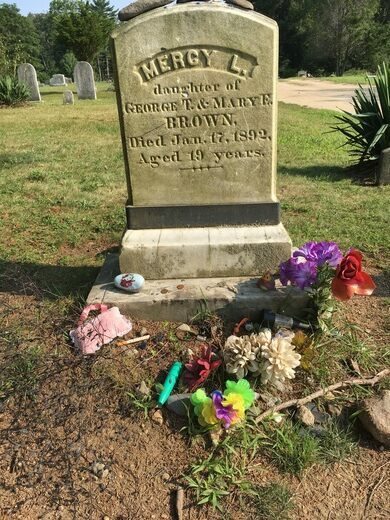 The case of Mercy Lena Brown, a 19-year-old resident of the town of Exeter, was the last known instance in the state of Rhode Island of a large group of otherwise sensible folks exhuming, mutilating, immolating, and cannibalizing a corpse to kill a vampire. Unicorns, elephants, and bears, oh my! 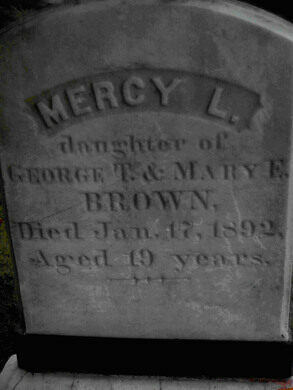 In 1892, a farmer named George Brown lost his wife Mary, then his daughter Mary, and then his daughter Mercy. When his son Edwin was teetering on the edge of death with the same mysterious symptoms (which today we know to be those of tuberculosis), George and the villagers exhumed the bodies of the two Marys to see if they were actually vampires preying on the living members of the family. Finding nothing but bones, they turned to Mercy’s body. Here the accounts diverge a bit. 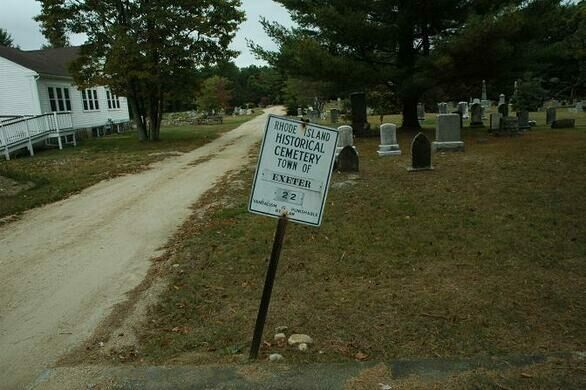 Some say she was exhumed from the ground. Others say that since she died in the month of January, her body would have been kept in a nearby crypt until the thaw. Either way, the citizens of Exeter found the body to be suspiciously well-preserved, so they cut out Mercy’s heart, burned it, and then had Edwin drink the ashes. He still died, but nobody else in the Brown family seemed to be affected after that. 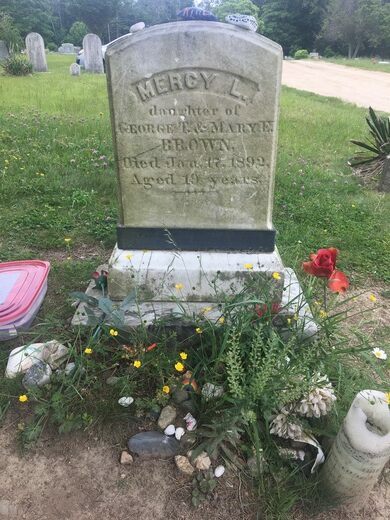 Mercy’s grave exists to this day in Chestnut Hill Cemetery, a small graveyard behind a tiny, white Baptist church off of Ten Rod Road, just a couple of miles from I-95. 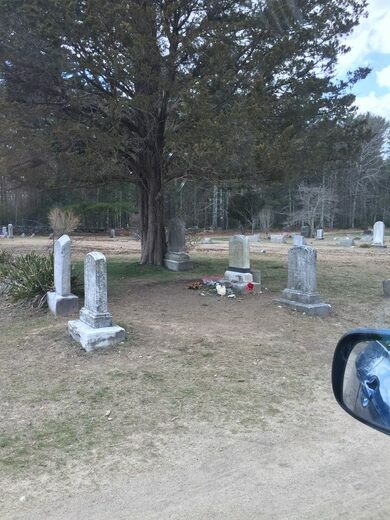 A path goes directly through the center of the cemetery, about halfway down which and on the left is the Brown family plot, beneath an evergreen tree. Mercy’s grave is reinforced with a metal band connected to a post imbedded in the ground to protect the famous grave from being stolen. 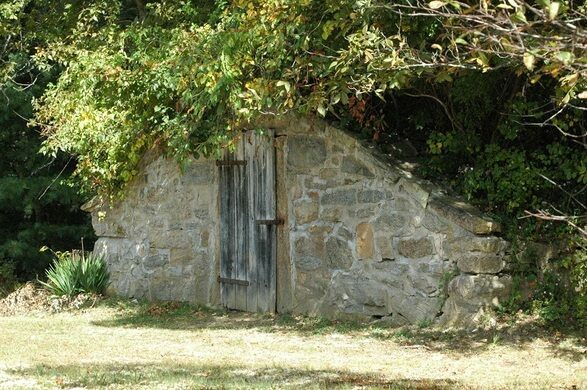 Directly across the cemetery from the Brown plot is a small, triangular stone building cited as the crypt in the story. To find Mercy’s grave, drive straight into the only entrance to the graveyard. Once you pass the church, the grave is visible on your left. It is near a tree. The crypt is on your right and is clearly seen from the grave. The grave is covered with momentos and pennies. There is a Tupperware container with a notebook for people to sign in if they want. Another Rhode Island vampire (Sarah Tillinghast) lies in repose off Forest Hills Rd (also off Rt 102, closer to Exeter center). About 200 yards up the road, on the right, just over the stone wall. The idyllic colonial home of the artist behind the famous portraits of George Washington and Thomas Jefferson. Off a hiking trail in Rhode Island stands a picturesque memorial to a long-forgotten war.